The official motto of the association is simply "We Serve." What better way to explain our mission? The slogan is "Liberty, Intelligence, Our Nation's Safety." The royal colors of purple and gold were selected as the official colors when the association was organized in 1917. Purple stands for loyalty to friends, and for integrity of mind and heart. Gold symbolizes sincerity of purpose, liberality in judgment, purity in life, and generosity in mind, heart and purse to those in need. The current Lion emblem was adopted in 1919 and today, Lions throughout the world are recognized by it. It consists of a gold letter "L" on a circular purple (or blue) field. Bordering this is a circular gold area with two Lion profiles facing away from the center. The word "Lions" appears at the top, and "International" at the bottom. The Lions face both past and future - showing pride of heritage and confidence in the future. TO SEEK success and to demand all fair remuneration of profit as my just due, but to accept no profit or success at the price of my own self-respect lost because of unfair advantage taken or because of questionable acts on my part. He soon joined the Business Circle, a businessmen's luncheon group, and was shortly elected secretary. This group was one of many at that time devoted solely to promoting the financial interests of their membership. Because of their limited appeal, they were destined to disappear. Melvin Jones, however, had other plans. "What if these men," he asked, "who are successful because of their drive, intelligence and ambition, were to put their talents to work improving their communities?" 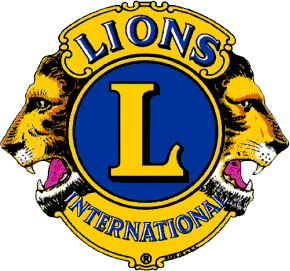 Thus, at his invitation, delegates from men's clubs met in Chicago to lay the groundwork for such an organization and on June 7, 1917, Lions Clubs International was born. The association's founder was also recognized as a leader by those outside the association. One of his greatest honors was in 1945 when he represented Lions Clubs International as a consultant in San Francisco, California, at the organization of the United Nations. Melvin Jones, the man whose personal code – "You can't get very far until you start doing something for somebody else" – became a guiding principle for public-spirited people the world over, died June 1, 1961 at 82 years of age. With the help of an exceptional teacher, Anne Mansfield Sullivan of the Perkins School for the Blind, Keller learned sign language and braille. A few years later, she learned to speak. As an adult she became a tireless advocate for people with disabilities. And in 1925, Keller attended the Lions Clubs International Convention and challenged Lions to become "knights of the blind in the crusade against darkness." The Lions accepted Keller's challenge and our work ever since has included sight programs aimed at preventable blindness. In 1971, the Board of Directors of Lions Clubs International declared that June 1 would be remembered as Helen Keller Day. Lions around the world implement sight-related service projects on Helen Keller Day. Please feel free to browse through our site. You can find information on who we are and what we do to serve those in need. More specifically, you can find information on the activities and events our club takes part in, as well as a schedule of upcoming events. If you have any questions about our club or the services we provide, please contact us. 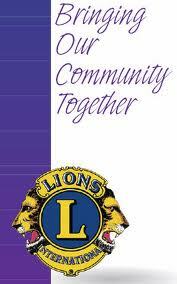 To contact the Princess Anne Lions Club visit our Contact page.